​RESTORATION FIRM IN FORT MYERS, NAPLES, CAPE CORAL AND ALL OF SOUTH WEST FLORIDA. Our Fort Myers Water Damage restoration Experts Are Standing By Now. ​Damage caused by water, floods or fire, and smoke can unexpectedly affect a residential and commercial property. It is usually hard to know when such disasters can take place, but it is important to have a plan whenever they occur. That’s is why you need the best kind of restoration and remediation company at your side. With the right firm, you will be able to benefit from qualified water restoration services for both commercial and residential properties. This is why we are here, Affordable Water Restoration is a dedicated firm in Fort Myers and all of Lee County, that is dedicated to providing all our clients with the best kind of services within the shortest time possible. Our main goal is to have you back on track and ensure that your property is in perfect condition as soon as possible. Water or fire damages can lead to some of the worst problems in any property. Also, it can damage one’s valuables. It is important that one acts fast so that they can have the best restoration. It is important to have the best water damage company within the site under 48 hours so that the damage does not spread and becomes irreversible. If there is no immediate response, the water-related damages can lead to health hazards through harmful bacteria and the formation of mold. ​To ensure that you are safe and in a healthy environment, the expert team at our company will get you the best restoration services. We provide excellent Water Damage Restoration Services in Fort Myers, Naples and All of South Florida. We focus on our customers and their satisfaction. It is our intention to provide the best quality flood damage services for your home! Our Fire Damage Restoration Service in South West Florida is quick, reliable and professional. It is our intention to remove the damage done to your home or building and restore it to new. Need Mold Remediation Services in South West Florida? We provide our clients with confidence that their mold problems will be solved to perfection. Our mold extraction specialist are ready to help you with your needs. Your South West Florida Indoor Air Quality Specialists. WHY CHOOSE AFFORDABLE WATER RESTORATION? Affordable Water Restoration is a reliable firm that has been around for a long time. This has enabled us to fully comprehend the specific needs of all our clients during the entire restoration process. We treat all our clients with respect and concern for all their preferences and need like if they were family. If you are looking for a restoration and remediation firm in For Myers or South West Florida we are the best option for you. Our years of experience has allowed as to come up with ideal solutions for both residential and commercial properties. Once at your property, our experts will handle everything, ensuring that you are at peace of mind. We are more than just experts. We believe in creating a good and healthy relationship with all our clients. We want to make sure before we start the cleanup project, you are already our friend. With many years of experience, you will find that our specialists are the best. Each of our employees looks forward to providing you with the necessary solutions to put your life back on track. Emergency Water Damage, Flood and Sewage Cleanup Services. Water damages can be caused by various things, including leaking water from malfunctioned plumbing, natural disaster, broken appliance or damaged roof. We specialize in emergency water damage restoration and cleanup. Regardless of the cause of water damage, it is important that you seek the best solutions once the disaster occurs. This is because water-related damages are one of the main threats to a home’s or business’s structure. Apart from being the toughest type of remediation challenges, water also threatens the life of a structure. This means that immediate action needs to be taken so as to reduce and stop the problem within a particular property. We offer both commercial and residential restoration services to all our clients. Apart from structure degradation and destruction of contents in your property, water damage can lead to bacteria mold in the property. If left for long it can also lead to insect infestation. These are why you need water damage restoration services from an expert firm in Fort Myers, FL. Proper kind of restoration requires the use of tools, and that is what we exactly use out our firm. We use the best and most powerful type of equipment needed for effective water extraction and restoration. All our methods are safe, and we ensure environmentally friendly dispels. Fire is another common cause of disasters in homes and business. When fire breakouts out, it leads to the destruction of property, the structural integrity of a building and in some cases, loss of life. At our firm, we are proud to help the residents of Fort Myers to get back on their feet after a fire breakout. Once you request our fire restoration services in Fort Myers, we will have a team within your property in the shortest time possible. Our technicians will use their acquired skills and knowledge to help prevent any further damages and provide the appropriate restoration solutions. Fire restoration needs the best specialized and experienced team. At our firm, we have the best. We have the necessary skill set needed to refurbish and return your property to its pre-damaged condition. To ensure property services, we offer our ability to assess damages from smoke, water, and mold. When looking for the best solution for water damage, there are various factors that you need to look for. Some of them include types of services, the level of services, experience, certification, license and so much more. When you experience water or fire disasters, you cannot just employ the first firm you see. The type of firm that you choose will highly affect the type of services that you will receive. 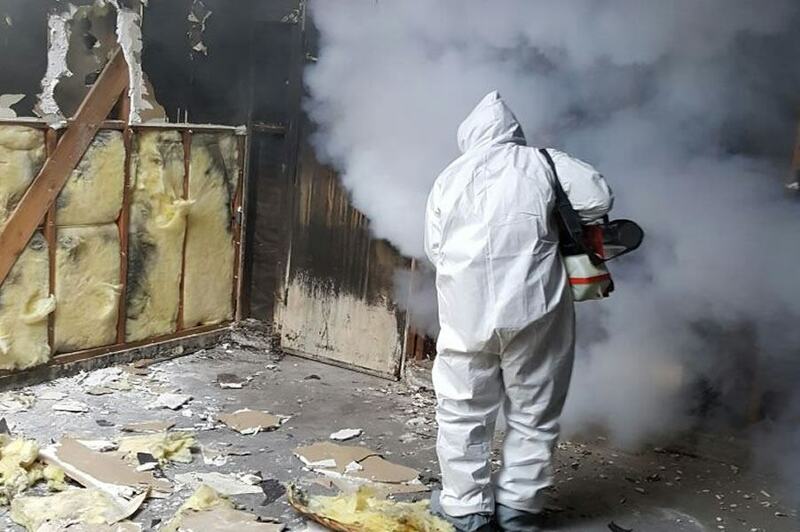 For all water extraction, fire restoration and mold remediation services in Fort Myers, you want a firm that you can fully trust. That is why we are here. Affordable Water Restoration is your best option when it comes to proficient and effective restoration and remediation services. We have been in business for a long time which makes us the best option for homeowner and business owners. One should not ignore a small issue such as a leaking pipe. Accumulation of water is not something that you want. A leaking pipe can lead to extensive damages if not taken care of early enough. There are various effects of water-related damages, including degradation of the structural integrity and can also lead to health hazard due to bacteria accumulation and mold formation. The type of firm that you will approach will be able to provide you with the exact type of services for your property. It is important to go to a firm that knows what they are doing. Are you having flood damage problems? If so, don’t wait to call for help! Flood water is a serious problem and it can inflict major damage and destruction to any property. A wide range of problems, such as plumbing issues, the appearance of mold and even structural damage can make repairs extremely expensive and time-consuming. Whether your home or business has suffered a flood, make sure to get in touch with a flood professional as soon as possible. If you are interested in finding out more about what you can do to clean up flood damage quickly and efficiently, feel free to contact Affordable Water Restoration for more information. Our team at AWR has years of experience in providing a wide range of restoration services that will eliminate the flood damage in your home in no time. From cleaning and drying your property’s walls to repainting, we are able to perform a wide range of services. The best thing with our firm is that we handle the insurance process. This means that you don’t have to worry about the insurance claiming process. 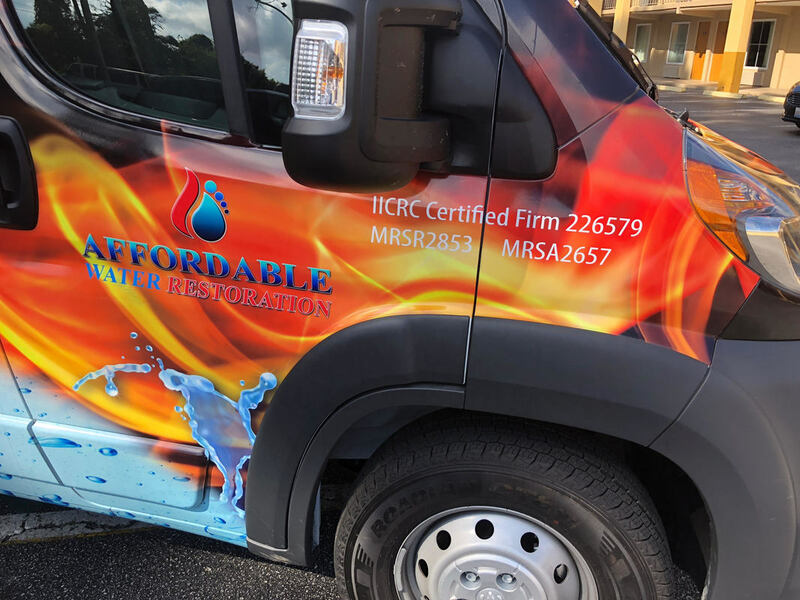 In our many years of business at Affordable Water Restoration, we have been able to create ideal relationships with some of the big insurance companies out there. This means that we have a full understanding of the insurance process, including the documentation process and the claiming process. We directly bill your insurance company and use our experience to make sure that we maximize on your restoration. You don’t have to worry about the stress brought by insurance companies, all you need to do is sit back and relax. Affordable Water ​Restoration provides a holistic approach to restoring your property from water damage. When your property and valuables are at risk from water damage, every minute counts. Dealing with a flooded home or business can be very stressful and time consuming. Fortunately, we specialize in making the process fast and easy for you. Our experts work for you with urgency, compassion, and professionalism to mitigate loss and restore what you value most. We will bill the insurance company directly and you will not have any up front costs. ​We know your property is something you cherish, and we treat it with the highest level of care throughout the process. Our highly trained specialists are on call 24/7. Our dispatch vehicles have the latest, state of the art equipment and are ready to respond fast. Affordable Water ​Restoration is always prepared for your emergency. Within 30 minutes of our dispatch, a technician will be at your home or business to preform a full assessment. You have enough on your plate. We deal directly with all insurance companies and use Xactimate software to get the right estimate the first time. 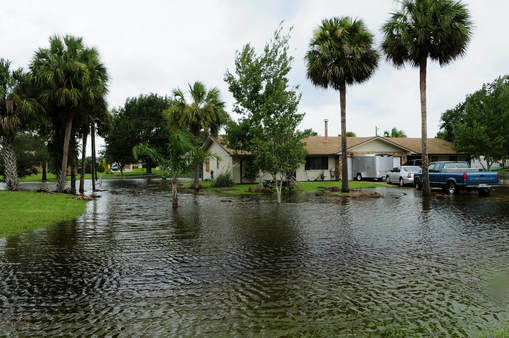 From start to finish, our water removal specialists in Fort Myers and South West Florida work quickly, and carefully to restore your property and your life, while you go on about your normal schedule. There is no job too large or too small, and we service the entire South West Florida area. When you call us, our consultant will guide you through several questions that will help us respond to your emergency more quickly and efficiently. This initial contact is an important part of a fast, effective restoration. We work with your insurance to solve all problems. We carefully inspect your property’s water damage, determining the type of water damage and the areas affected. This is a crucial step to creating an effective plan of action that will result in a successful restoration. Once we finish with the inspection we will begin to talk to your insurance company. ​Residential Damage Restoration Services in Fort Myers, Naples And All Of South Florida. We are South Florida's choice for commercial restoration and remediation services. We help you get back to business faster. Our team has thorough processes in place to provide the most comprehensive restoration or remediation services in the business.